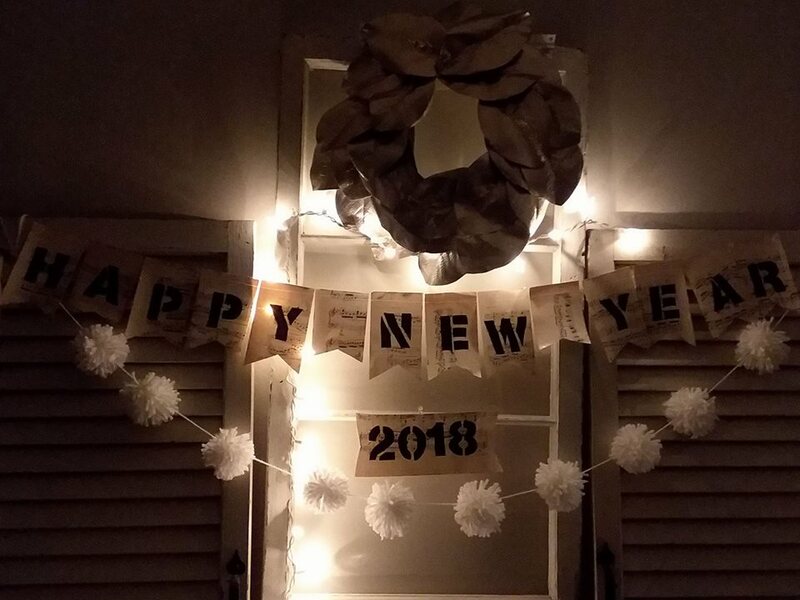 Wishing you all a "HAPPY NEW YEAR 2018"
and many blessings to come! and edged with silver glitter. Handmade pom pom garland created with craft yarn. Simple and easy! and attached onto a round foam wreath. shabby white and distressed the edges. Adorn with white lights makes for a beautiful glow! be filled with many creative, soul, mindful moments daily. I will be sharing more on my blog, hoping!